Republic of Gamers (ROG) – once you have one of these, you become part of a community of game lovers! This beast is specifically designed to give you an unparalleled experience. 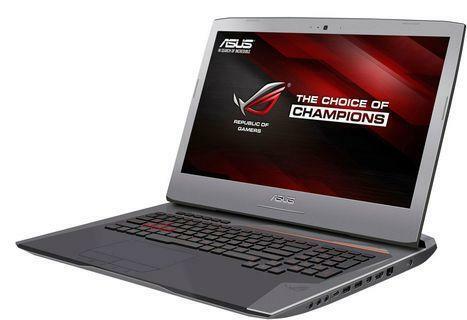 This is the (slightly) lighter-spec sibling of the Asus ROG G752VL-GC169T, but there is no compromise on the epic gaming experience that you would expect from the ROG range. Other features include: ROG Gaming Centre; Xsplit Gamecaster; Dust-release thermal tunnel and the latest NVIDIA GTX graphics. Expect everything, experience more!